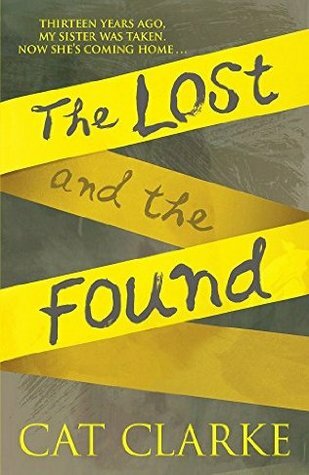 The Lost and The Found – Cat Clarke. So I have to start off by saying that this is one of my favourite books that I’ve read this year. I didn’t really know what to expect going into it. I had previously read Undone by Cat Clarke which I enjoyed but didn’t fall heads over heels for. The Lost and The Found deals with a topic that I haven’t seen in YA literature (unless I’m mistaken then leave me some recs in the comments!). Thousands of children go missing every year and it seems that only the highly publicized cases are the only ones to get recognition from the media. Which is what this novel explores. I loved seeing how the media attention can influence a family’s actions and feelings. Because this novel is told in Faith’s point of view, we mostly get her view as the younger/slightly forgotten sibling of the missing Laurel. Another thing in this novel that doesn’t often happen in YA Lit. You know when sometimes parents split up and they move on and find someone else, the child’s reaction to the new parent is normally negative? NOT IN THIS BOOK. Maybe too many details would spoil it but it really warmed my heart. My favourite thing about this novel the atmosphere that Clarke has created. You always get the sense that there’s something not quite right. I think it depends on the reader whether they can follow the trail of breadcrumbs but I didn’t see the ending coming. I should re-read at some point and spot all the clues. If you’re looking for a mysterious contemporary read – then I highly recommend this book!